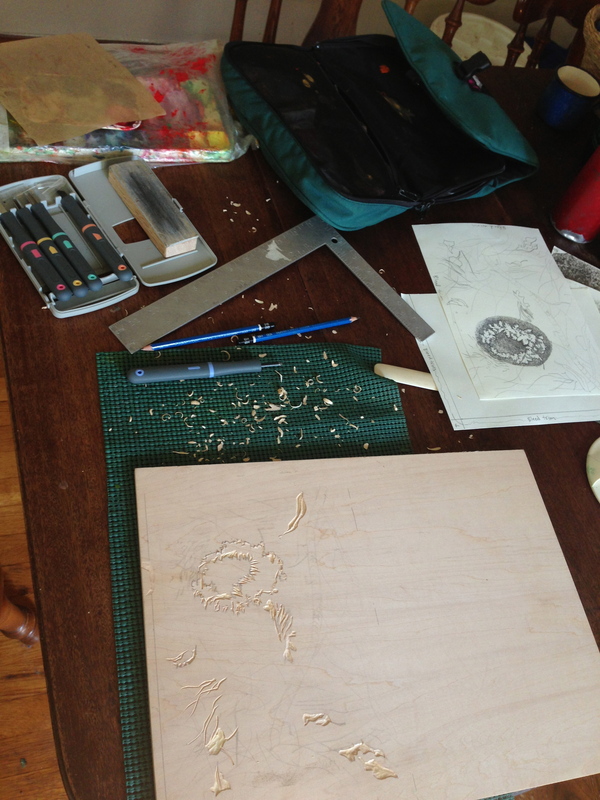 Making some progress on my print for the lunation book, starting to carve a block for a second layer. Here’s a test print of the first layer of my print for the lunation book. This is my progress so far on my print “Frost Burrow” which will be the 29th page of the Lunation book. My page corresponds to the last day of the waning crescent moon phase, and I’ll be tweaking the values to aim for 2-4% illumination. I’m working from a photo I took during the winter, on a day without snow on the ground, of a rabbit burrow (I think) edged in frost. 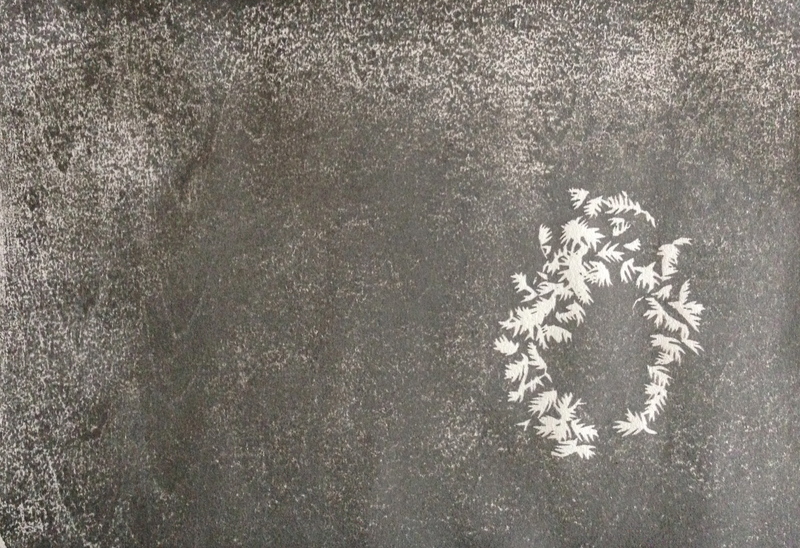 The frost formed from the meeting of warm moist breath with the cold outer air and clung to the dead grass and roots around the entrance to the burrow. So this print is about hibernation, waiting, hints of life amid evidence of death, warmth hidden in darkness, and a hole that may be empty or full.